A classic song from The_Band, Do they say " take a load of Annie or Fanny " I can't tell ? The members of the Band first came together as they joined rockabilly singer Ronnie Hawkins' backing group, The Hawks, one by one between 1958 and 1963. 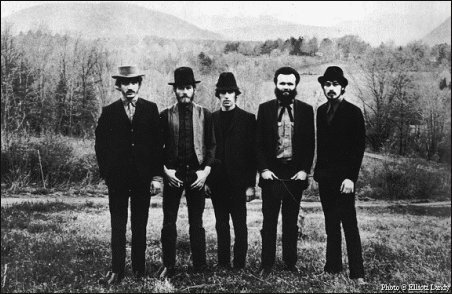 Upon leaving Hawkins in 1964, they were known as The Levon Helm Sextet (the sixth member being sax player Jerry Penfound), then Levon and the Hawks (without Penfound). In 1965, they released a single on Ware Records under the name Canadian Squires, but returned as Levon and the Hawks for a recording session for Atcolater in 1965. At about the same time, Bob Dylan recruited Helm and Robertson for two concerts, then the entire group for his U.S. tour in 1965 and world tour in 1966. They also joined him on the informal recordings that later became The Basement Tapes.